I’m just going to put it out there—2018 pretty well sucked for thrash metal. There just weren’t too many gems to speak of. 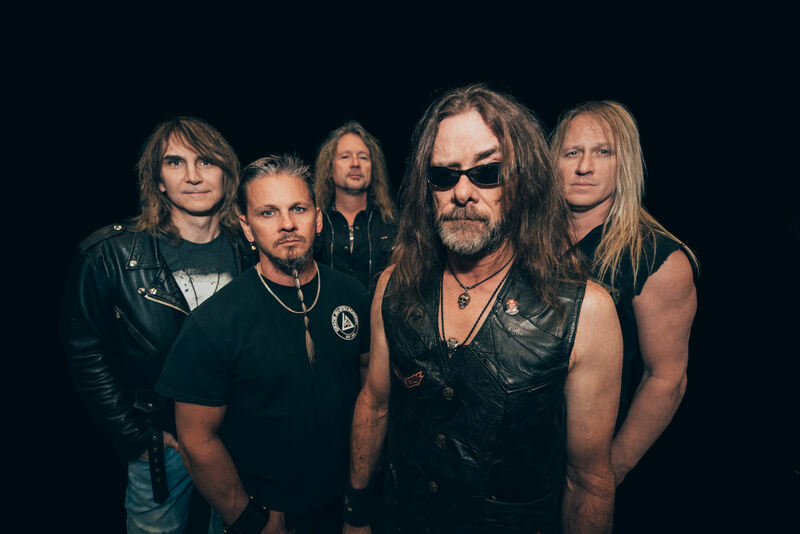 Already 2019 is showing greater promise, and leading the charge are Arizona veterans, Flotsam and Jetsam. The quartet has just unleashed its 13th studio album, the Jacob Hansen produced The End of Chaos. It follows 2016’s highly-acclaimed self-titled effort, and it marks the debut of pulverizing drummer, Ken Mary. Flotsam and Jetsam have long been something of underground icons of the thrash metal scene, but the band’s sonic output has always been worthy of greater exposure. Vocalist Eric AK Knutson remains the band’s focal point, alongside guitarist Michael Gilbert who recorded the band’s seminal debut, Doomsday for the Deceiver in 1986. They are joined by bassist Michael Spencer and guitarist Steve Conley. Ken Mary jumps in feet first, literally, on the album opener, “Prisoner of Time,” serving up a heavy dose of double bass. Spencer leaps in next with his rumbling bass, followed by the one of a kind vocal attack of Eric A.K. It’s clear from the outset that Flotsam and Jetsam are as powerful and aggressive as ever. Gilbert and Conley are at their shredding and riffing best. There is something of a thrashier Iron Maiden feel to this track. Mary picks up the tempo for the juggernaut onslaught of “Control.” Speedy and commanding, the band storms through this track like a category 5 hurricane. The song is unrelenting. This should turn any metalhead into a moshing demon. The tempo downshifts for the somewhat Arabian undercurrent of the chugging track, “Recover.” Knutson’s voice soars in a manner that recalls a grittier Geoff Tate. This is followed by the serpentine riffs of “Prepare for Chaos”. This is pure thrash glory. A brutal chest-beater with the trademark F&J signature. “Slowly Insane” is an absolute barn burner, with something of a darkly hypnotic quality to its undulating flow, while “Architects of Hate” hits like a bludgeoning throat punch of thrash’s retro glory days. The album’s first single, “Demolition Man,” is a melodic beast that sinks its claws into your cranium and won’t let go. An absolutely addictive chorus with infectious riffs. The End of Chaos is a pummeling reminder that the best thrash manages to balance speed and aggression with melodic riffs and heavy hooks. Flotsam and Jetsam have found that balance and it’s on full display throughout the album’s dozen headbanging tracks. Every song delivers pure thrash intensity and reverberates with ferocity and uncompromising authority. 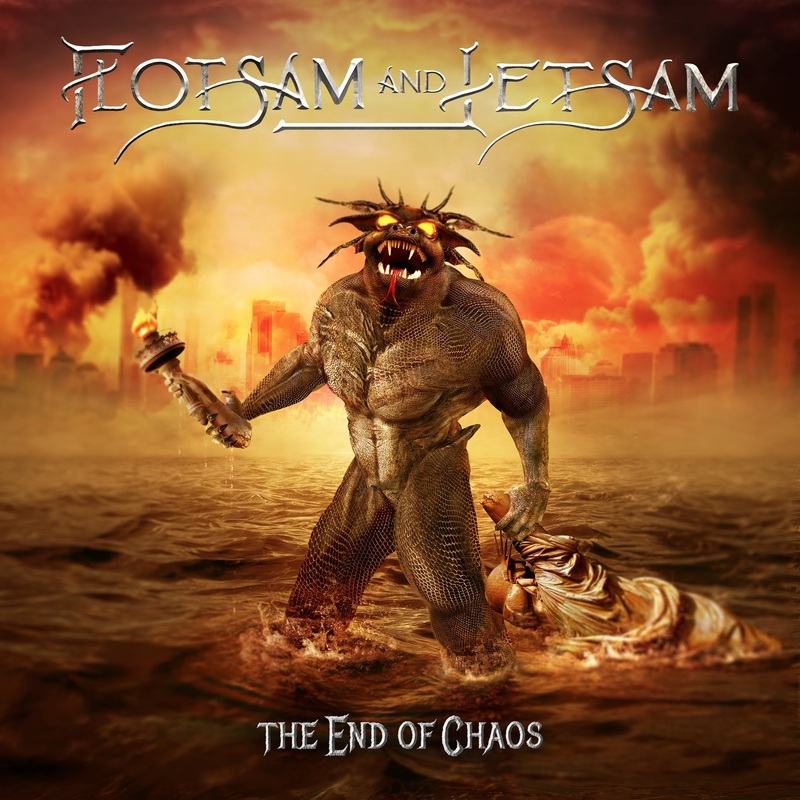 Flotsam and Jetsam may forever be among the most unheralded acts of their generation, but it will not be for lack of constructing punishing and exciting albums like The End of Chaos. Give the devils their due!